Jack Coe's humble beginnings at an orphanage where he was left by his father prepared him for God's work, including the construction of his own boys' home. Empowered by his radical salvation experience, Coe threw himself into God's work, often bearing criticism for his gruff nature and reckless faith. Watch and see Coe in action as the blind see, deaf hear, and the lame walk. 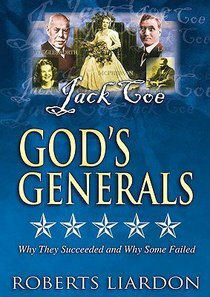 About "Jack Coe (#09 in God's Generals Visual Series)"